He came. He played. He conquered. He carried the dreams of a billion hearts beating for him across the country. Despite of the religion, caste, creed and color, he united them all. Every generation, every country just chant a single word when he used to play. “SACHIN…SACHIN”. The name is SACHIN TENDULKAR. The Bharatratna, Padma Vibhushan,the Undisputed God of Indian Cricket. Records just run behind him, as he is sitting on a throne almost out of reach of anyone. Celebrating his achievements, a film on his biographical events is being helmed. “Sachin – A Billion dreams”, a name which was selected from a contest held from Sachin’s Twitter handle. This is a documentary/feature film which is intended to capture Sachin’s life in detail highlighting several aspects of his career and family. The movie has moments of his family and colleagues and also several characters to play his childhood life. The movie is being directed by James Erskine, an Emmy Award Nominee and being produced by Ravi Bhagchandka and Carnival Motion Pictures under 200 NotOut Productions.The music is being composed and produced none other than by the legend of Indian music, A.R. Rahman. This is the first time both of the stalwarts are coming together for a collaboration. 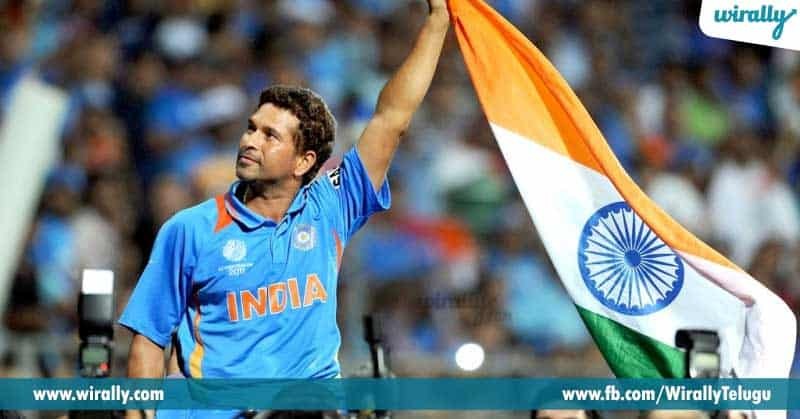 Today is the birthday of Sachin Tendulkar, so technically a festive day to all the Indian Cricket Fans. On this eve, the team of ‘Sachin – A Billion Dreams’ have released a song named ‘Hind Mere Jind’, sung by A.R. Rahman and written by Irshad Kamil. The song translates to “India is my love and India is my life”, which is legitimate considering the theme of the movie. The song is an ambient rock number setting an uplifting/inspiring mood to the listeners. We wish Sachin Tendulkar a very happy birthday. Here is the song released on today’s eve. Listen it here. Here you can watch the trailer of the film.